Last year I did 2 words. One for me personally, and the other family word. My word was Intentional, and the family word was Financial Freedom. Intentional was probably my word for 2 years. I wanted to be intentional about the things I was choosing to do. I wanted to be focus about actions and not just say yes to everything. Our family word on Financial Freedom. We both wanted to pay off some bills, get rid of some debt, improve our credit score. I would say we have accomplished all this this year. I'm super proud of us on this. We have a few more things but it will be good this next year. 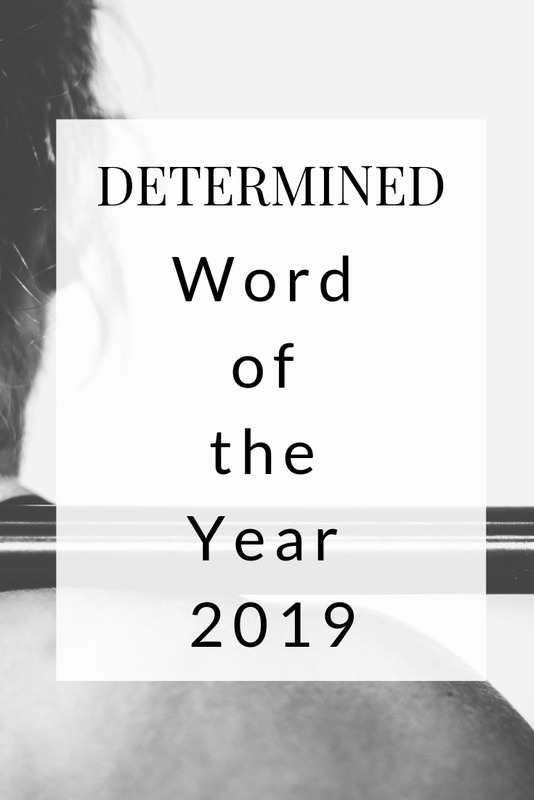 In 2019 my word is DETERMINED. I have been feeling life is controlling me instead of me controlling life. Surprise!! I am doing the Contentment Challenge Round 2. I did the challenge once before and it was horrible. I did the challenge in the middle of a move. I really thought I could do it. To be honest we did really well not spending much money but what I wanted to get out of the challenge was far from anything. I am really hoping this time I am successful and able to continue throughout the year. I am hoping for power in numbers and having accountability. Wish me Luck. If you are doing this please message me so we can do this together. 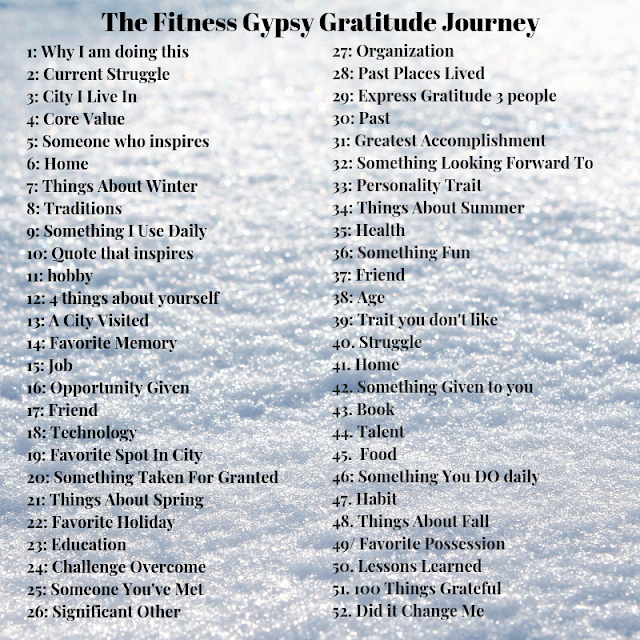 I am so excited to participate in the #contentmentchallenge! I can't wait to change my mentality towards money and belongings. 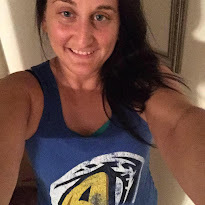 I will post on the 1st of the each month to check in on how I am doing with the challenge. Are you doing the Challenge? Could you do the Challenge? Our Christmas Tradition is a little different from most families.Some baseball teams give you the week of Christmas and New Years off and some don't. It really just depends. We have had both and really doesn't phase us either way because we usually don't go anywhere. We are currently in Modesto, California and he only has 2 days off around Christmas and New Years. Our first Christmas together was as a fiancee, and we were living in Oklahoma City. We had just moved to OKC about a month before so we were still getting settled in. We didn't have much money or know a whole lot of people either yet. Right before Christmas the NBA decided to end their lockout and the first set of games was on Christmas. OKC was playing at home during that time, so we knew to avoid downtown OKC. The funny thing is that we are not big NBA fans, but with nothing to do in a town we don't know anyone we went to Chili's and watching NBA all day! At that time we had no idea it would become a tradition. Each year we have expanded a little bit of watching basketball games. Sometimes we go out anywhere that is open on Christmas to watch basketball. Sometimes we stay in and have pizza. It's all lowkey. Which is really nice to relax, because now that I work in a gym it's nice to relax. December through March is pretty busy at gyms. Thursday AGAIN. So that means its Gratitude Thursday. 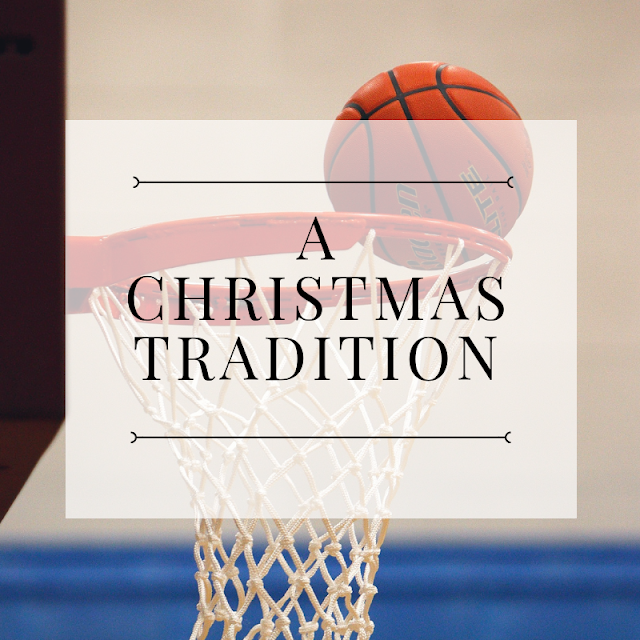 Today is all about TRADITION. Tradition: the transmission of customs or beliefs from generation to generation, or the fact of being passed on in this way. Gary and I have a lot of traditions throughout the year that we love doing. Some are a little weird and unique to us and some are pretty normal. Opening Day Gifts: He gets a gift on every Opening Day for baseball. It's only the Opening Day for his team. Except when we were in short season then he got a gift on MLB Opening Day. Birthdays: Usually do Buffalo Wild Wings for dinner. College Football: First weekend was DON'T schedule anything unless working a baseball game. We sit and watch college football. Besides baseball it's my jam!! I love these traditions because they are unique to us. They are times that we get to bring out best qualities. I love gift giving so being able to give him gifts makes me so happy!! I'm grateful for all sports watching because it's a time I truly relax and recharge. 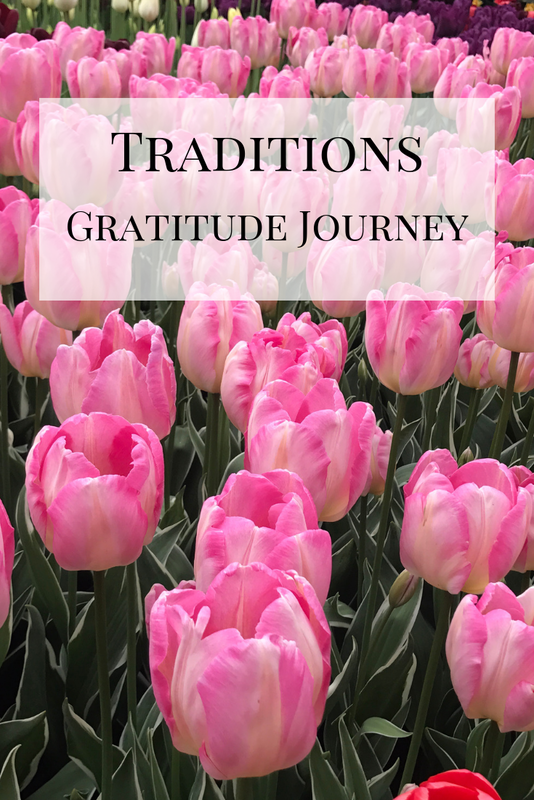 What traditions are you grateful? I would love to help people. But the one question that always gets me during interviews. Where do I see myself in 5 years? Honestly, I have NO IDEA. If you do, send me a message because I am hopeless. 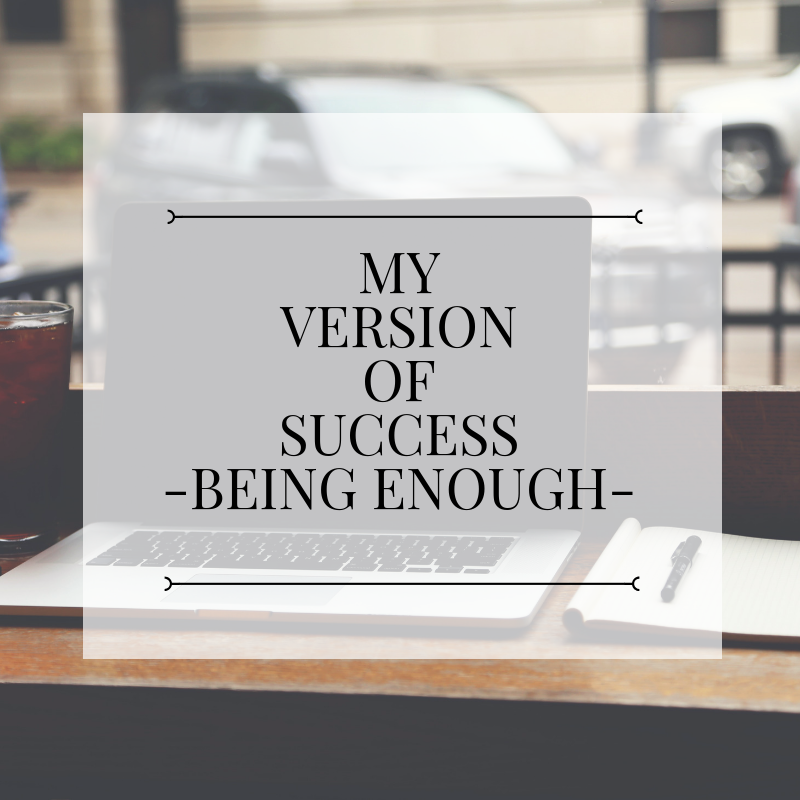 My version of success is being ENOUGH. This is something that I really struggle with. I am ENOUGH right where I am in the moment. I have enough information right now to make decisions. I am always pushing for the future. I am always worried or thinking about the future instead of enjoying the right now. Don't get me wrong I do have goals and sometimes work towards them, but for the most part I am wanting to focus on the right now. I did a personality test a few years ago. I think it was Emotional Intelligence, and it did say that I don't enjoy the victories. I just keep pushing through to the big goal. Which is 100% me hands down. I am proud to say I am getting better each day but still hard. 2. Put on your blinders. I have to focus on this one EVERY SINGLE DAY! I think I need is one that it the hardest for me. I tend to compare myself to a lot of people especially on social media. When I was blogging consistently I would always compare they have more side bar ads, sponsored posts, making money, etc. I would beat myself up about it. I wanted that too! But by comparing myself to them I hid my own voice and opinions. Even now, I am fitness professional (oversaturated market) but I know that I have space on the table. We all do. Yes, fitness is fitness but I have a different outlook than others. We can all help people. We don't keep to compete against each other. Where are you right now? We all know right now I am feeling like a big puddle of mess, but I am trying to re-train my brain. Re-train on positive thinking. Re-train on worth. Re-train on plans for this space. Then focus on what I will be doing better. I can tell you I am glad that I am California right now for winter, but I don't like snow. I can't remember a time that I actually enjoyed the cold. Arizona was PERFECT for me. Things about winter I am grateful for is off-season life. I LOVE baseball don't get me wrong, but it's nice to have time with Gary. He has some things that come up during the winter but not much. It's nice to be able to have weekends together. I am also grateful for football. I love bowl season, so this is a fun part of the year as well. I am mostly looking forward to UCF vs. LSU game in the Fiesta Bowl. I think if UCF wins they deserve more credit than they are getting. Winter is also about holidays. I was so happy for Thanksgiving because my parents came to visit. I am hoping in the future we (both sides of the family) can all get together somewhere and have a holiday dinner together. Bucket List ya'll!! Winter is a tough one to be grateful for because it's my least favorite time of year. 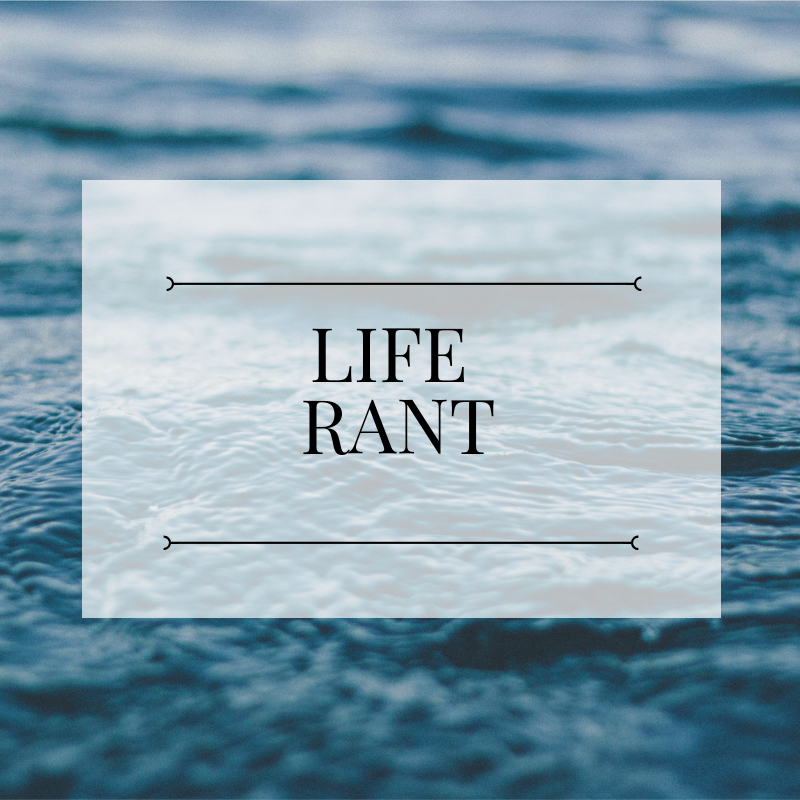 So I really struggle with finding gratitude and be grateful for things. 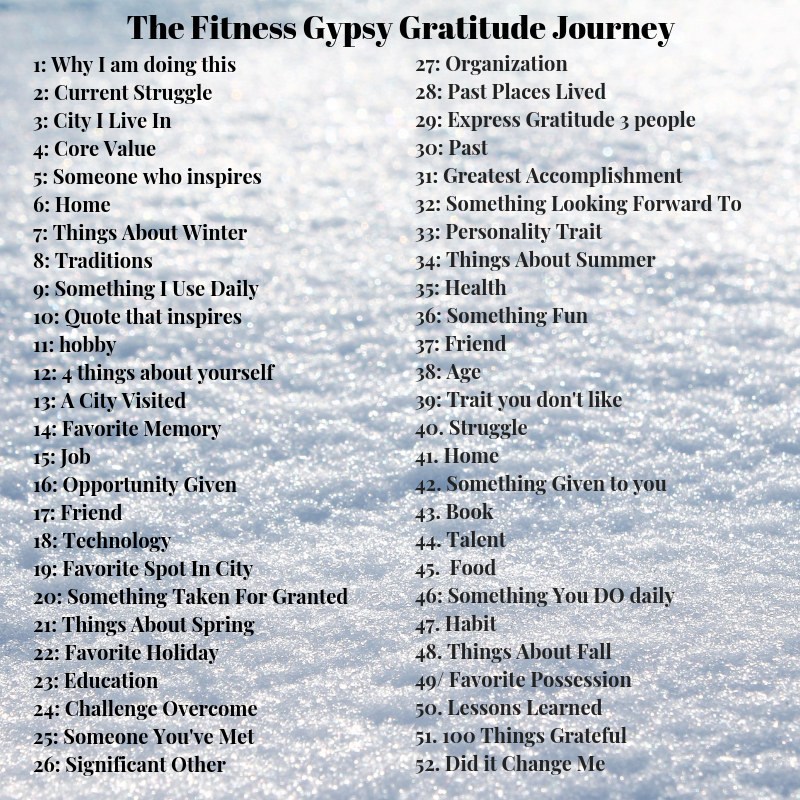 So I am hoping that this part of the gratitude challenge helps me in my journey to be more grateful. I want to see past just things on the surface. I want to get deep on this journey. When we were still living in Seattle, Gary mentioned to me one of his new goals is to run a 5k every month starting in November. We did run a 5k on Thanksgiving. We don't have anything planned for December yet. Shocking enough we have a HALF MARATHON planned for the end of March. Perfect Timing since season starts in early April. I use to love to run. It was perfect for me to just process everything on my own. While I was running I could think about situations differently and what I could do better in the future or how to make the situation better. For me running was therapy to get outside my head, which I am really good at overthinking and overanalyzing. 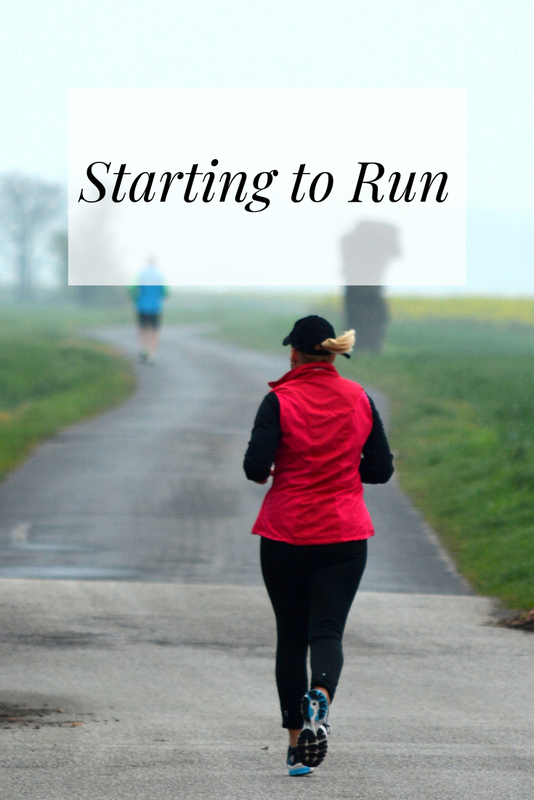 Our plan to get back into running is to run at least 3-4 times a week. I'm pushing for 4 times a week, but if I get 3 I'll be happy. During our runs we mix it up, sometimes we'll have a distance to hit (HELLO, half marathon training) or sometimes we'll go on time. My personal favorite workout is 10 minutes on each piece of cardio equipment at our gym. We have treadmill, elliptical, stairmaster, bike, and arc trainer. The goal at each station is at least a mile. On days that I don't run I like to cross train or rest. My cross training usually consists of Madeline Moves App or Danielle Pascente. I have been trying to get more into yoga or stretching. We did get a combat bag (sandbag) for Christmas so pretty stoked to start using that more. In the past I could run without anything- NO music, NO books, NOTHING. It was pretty awesome. Right now I am not quite there. I need something to keep me going. Right now, I'm listening to a lot of audiobooks. I am so excited to get back into the swing of running. Are you a runner? Do you have any runs planned? I would love to know. Full Disclosure. This post will be all over this place but that's what I feel in my mind right now. I just want to get it all out today. My mind is all over the place. I feel like I just run or move from place to place with no real reason. Also when I get home I am exhausted but I really didn't do a lot of things on my list. Yes, my work is a little demanding. I coach at 3 different gyms. I do a lot of cardio and core workouts with them. Plus my own workouts. So I know my body is adjusting to that but I don't feel like I accomplish anything of my PASSION. Coaching and teaching people is one of my passions, but it's based on other people cirrculum. I want to coach on this page. 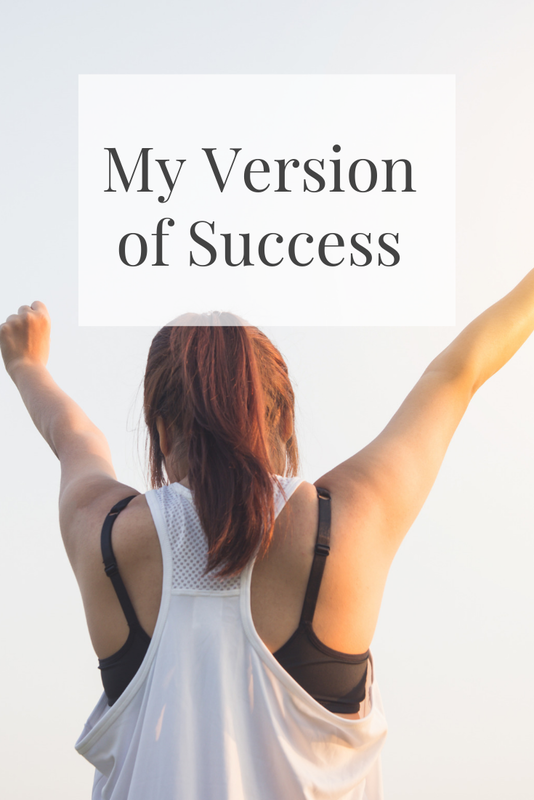 I want to share with you workouts that I have been doing and what I think of them. 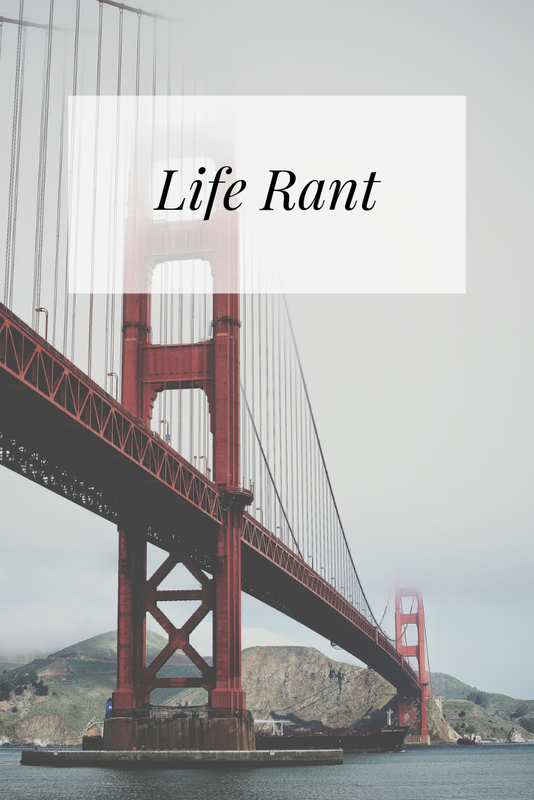 I want to share my life and things that have been going on here in California. I want a community. I have a bunch of things in my drafts and a bazillion notebooks around the house with ideas and everything written out. The only thing i am missing is follow thru. I have had ZERO follow through lately. I have had a billion squirrel moments just writting this post. I start writting then remember to text my boss or respond to a text message or check an email or checking to see if the new ipad is avaiable at att yet. I have so many tabs open on my computer and my body. I feel like I have tried everything but things still keep coming to me. I have also been working on vision board or future board. I start writing things down that I want for my future self but they are seem so superficial. For example, I want a Louis Vuitton bag. I don't need the bag but something in me is driven by it. Then I think I have an amazing Kate Spade bag that I super wanted but never use. Only during interviews. So why do I need LV bag that I probably won't use as often as it is worth. I have other things on my board but all of it seems irrelvant. Honestly the future board makes me worse than it is motivating. Is that even possible? I just feel like I am treading water or head in the cloud. I need direction. I need focus. I really don't know what I need. Anything please message me?! I have a lot of self-development books to read right now. Some are good but I feel right now they are saying the exact SAME THING. I don't want to waste my time with them right now. I can't help but wonder am I the only one who feels this way? Has anyone else felt this way? What did you do?